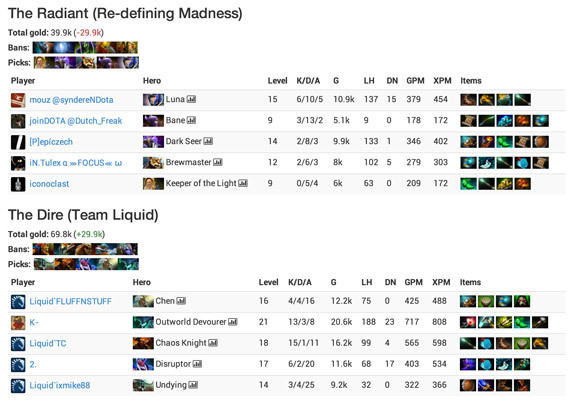 Thanks to the open WebAPI provided by Value, you are now able to link Dota 2 matches to your BracketCloud tournaments. By simply entering the Dota 2 Match ID when entering a match score, you will be able to see the full Dota 2 match details and statistics from your brackets. Make a bracket and try it out today!